Travel edit 3: Off to Chester for a Jubilee round up, whilst having a Best of British party with Ted and a family heritage moment in Pringle of Scotland. Yesterday to finish off the Jubilee celebrations I head off down to Chester with my dear family members. 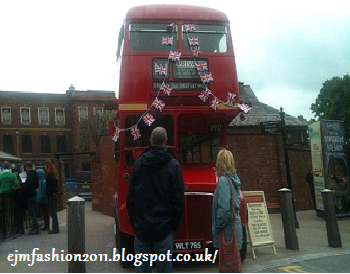 When we all arrived at Chester it was definitely time to celebrate Her Majesty’s reign. They had a beautiful grass area with numbers of people sat upon in seats in front of a massive screen, which was portraying the live coverage from the BBC of the Queen’s thanksgiving service, carriage procession, the balcony viewing, and finally the speech. It was perfectly layout out because, you had the traditional big red London bus parked next to the area of where everyone was sitting, whilst being covered in a fencing of buntings of the union jack flags. We continued the Jubilee celebrations when we went of for a retail therapy. Starting with the British fashion houses Burberry and Mulberry which were sporting the quality which we have as a fashion capital, along with showing off the talent of heritage the brands and the customers have with our retail and fashion industries. I was quite proud of myself of naming an Alexa handbag without looking at label. 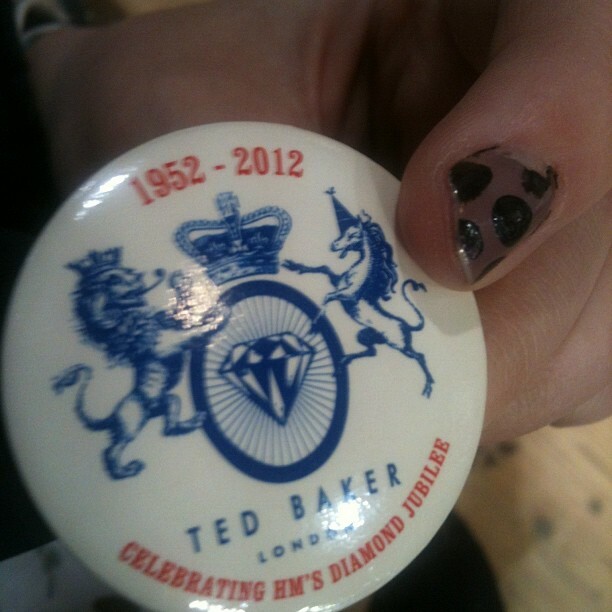 Continuing with the celebrations I had to pop into Ted Baker. During my time within the store they were having a Best of British party with a rising off a cup of champagne whilst enjoying a discount, along with dishing out treats and indulging in a variety of regal giveaways. 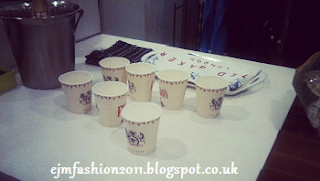 One of the giveaways was quite remarkable featuring a raise your teacups tea towel which would have been perfect for my house. (Half of my closet and bathroom is full of Ted). I also made a purchase myself which was one of Ted’s most vintage floral statement tees which featured a blue and white foreground of shaping of flowers, with a background of soft grey colour palette. Well at least we were the only ones in store with a member of staff. A special Pringle family moment; I don’t normally get. Hope you all enjoyed your Jubilee celebrations.